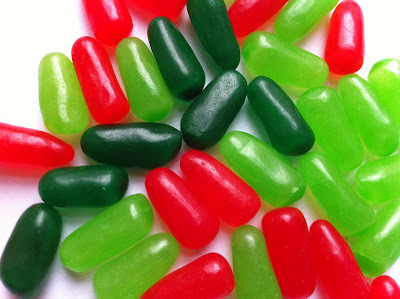 I'm quite taken with this new seasonal Mike and Ike Merry Mix. The color scheme is cool, featuring two shades of green along with bright red. The mix hosts the original Lime and Cherry flavors but also adds in a new Holiday Punch flavor. It's a typical punch flavor with a little accent of something I can't quite identify- something that makes it less tropically sweet and more of an understated punch- citrus, perhaps? Any readers who try these, please let me know what fruit flavors you believe constitute the fruit punch mix. Definitely worth a try! Festive! 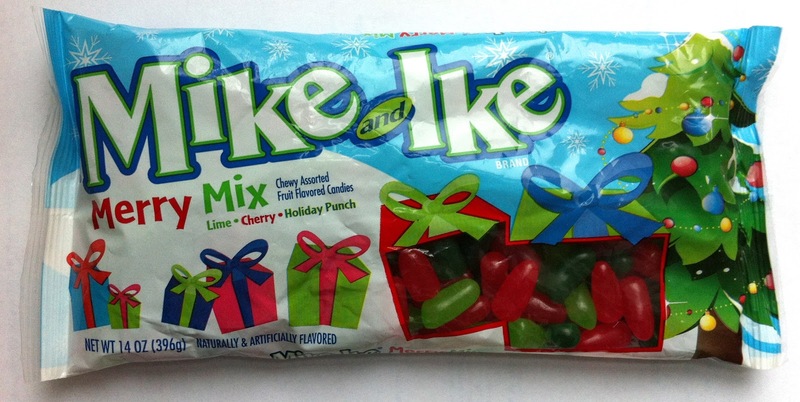 And kudos to Mike and Ike for continuing to innovate new flavors and mixes! Oh Sweets, I'm dazzled by your brilliance.